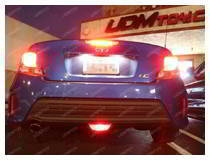 Buying a vehicle with the basic stock lamps can get boring. Sure, the car does everything it needs to do, but the cool factor is missing. 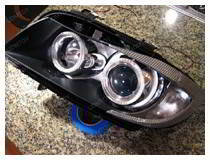 Bring it back with our great variety of LED headlight retrofit parts including halo eyes, projector lens, switchback strips, and more. 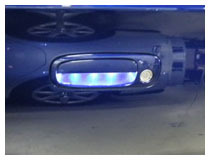 Adding a few key pieces to your lights can really help your car to stand out on the road, rather than just blending in with the others. 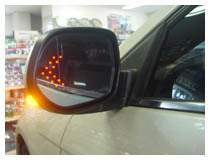 Easily add personality and flair to your vehicle with our options. 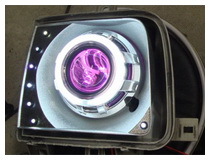 Our LED headlight retrofit parts come in a variety of styles and colors to perfectly fit you and your car. It’s one thing to have a car that just isn’t you, and it’s another to have a car that is completely customized to perfection. Our options come in a variety of colors, including the traditional white, amber, and then the more custom blue, red green, and purple. Not only do we have the basic colors, but we have options that change colors, giving you everything you could ever want with your car. 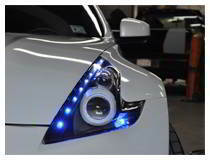 Our halo eyes are perfect for customizing your Audi, or you can add some luxury to your vehicle with our universal fit LED turn signal arrows. No one has to know it didn’t come that way, we’ll keep that between us. In addition to the classic lights, we also offer options that have Wi-Fi wireless remote control. Choose a style you love, and a color that shows your personality, and start customizing! We offer easy to follow installation guides to help you through the process. 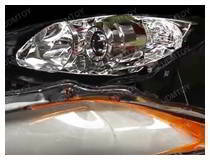 Here at iJDMTOY, we offer a variety of LED headlight retrofit parts and lights to help you completely customize your vehicle to exactly what you want. Here, we make it easy to find great parts fit for any vehicle, at great prices. With our easy to install products and easy to follow guides, this DIY project is perfect for a weekend. 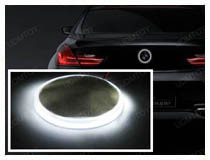 Add a new level of style to your car easily. If you have any questions about which product is best, please contact our customer service representatives.